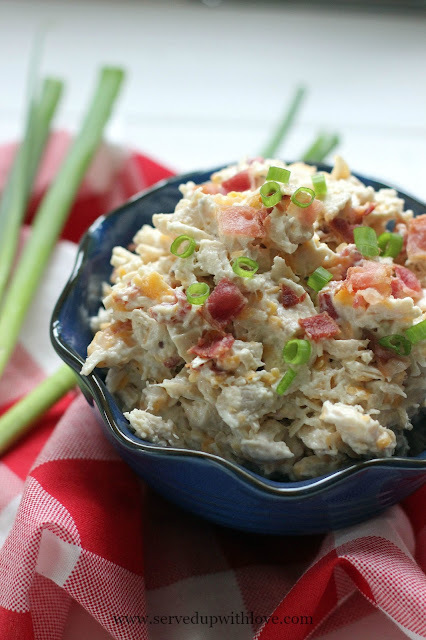 This Bacon Cheddar Ranch Chicken Salad has become my new favorite chicken salad. I usually make a traditional chicken salad every so often but this particular time, I needed something a little different. It comes together pretty quickly once the chicken is cooked. Just dump it all in and let the magic happen. The ranch gives it just the right amount of zing. And the bacon, well you know, its bacon! It gives it the right amount of smoky flavor. There are so many ways to serve chicken salad. On slider buns, between two pieces of bread, in lettuce wraps, with crackers, the possibilities are endless. I promise, you will love this one! 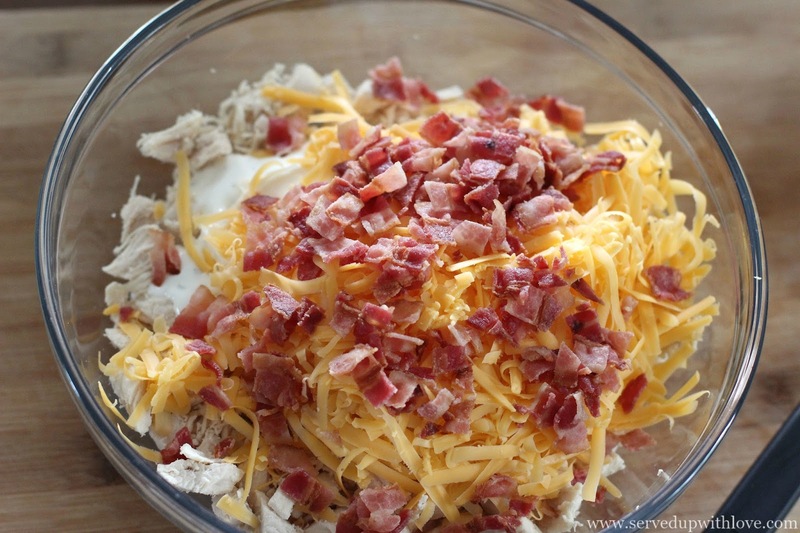 Combine all the ingredients in a bowl and stir. Serve on sandwiches, crackers, sub rolls, slider buns, or in a lettuce wrap. 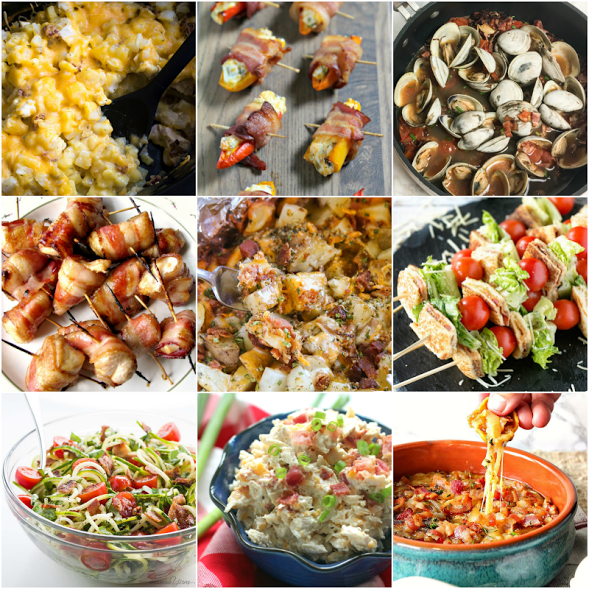 Every Wednesday this month, we'll be sharing bacon-centric recipes to make you drool. And if that's not enough to make your tummy grumble, you can grab bacon recipes from the previous bacon months too! Ready to see what deliciousness is waiting for you today? Oh my goooooodness - this looks like exactly what I want to eat for lunch today. Such a fantastic flavor combo! 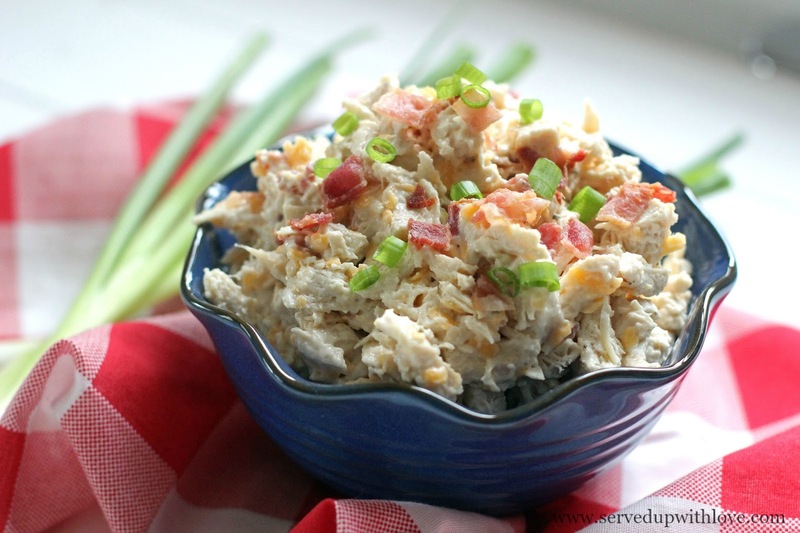 Chicken salad is one of my favorite things! 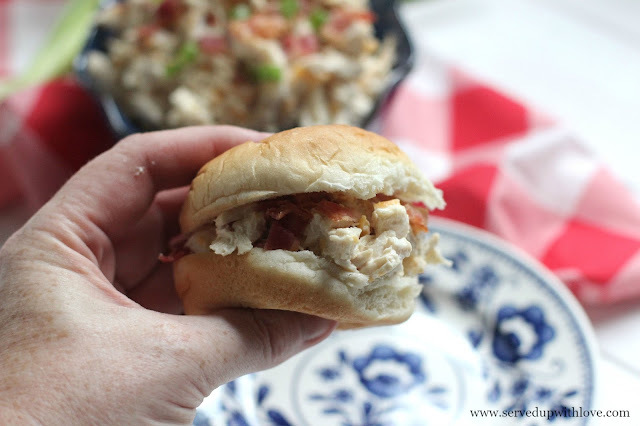 Plus, I adore that you've added lots of bacon and ranch flavors. This is a must make for me! 1/2 ranch dressing? Is this a 1/2 package of ranch dressing or 1/2 a bottle of ranch dressing. What size bottle? So sorry for the confusion. It is 1/2 cup. I have corrected it within the recipe. Sounds wonderful. I assume the 1/2 ranch dressing is 1/2 cup of ranch dressing? Yes, that is correct! Sorry for the confusion. I have corrected the recipe.